DACS is a family owned business, based in Denmark, established in 1982. 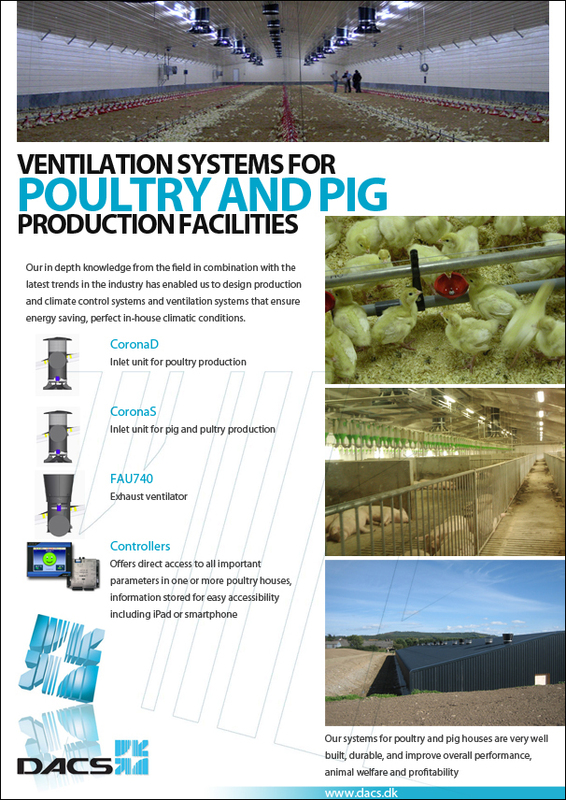 DACS produce ventilation systems, climate and production controllers, weighing systems and management systems for the agricultural business. We see a close link between in-house environment, animal welfare, and profitability. Hence we base our engineering and development on the latest research and combine it with a company tradition for high quality products and a strong focus on animal welfare. savings on heating costs of up to 50% compared to other systems - and yet a superior in-house environment every day of the year.